Bamboo stair risers are the vertical pieces of the stair steps. They "rise" up from one tread to another. We offer a wide selection of bamboo stair risers toadd the finishing touch to any bamboo stair case. Choose from a variety of colors and grains to find the perfect match for your budget and décor. Built to stand up to anything a busy family can throw at them, our bamboo risers will give you a lifetime of trouble-free use. Our stair risers are available in classic (solid) and strand-woven bamboo. 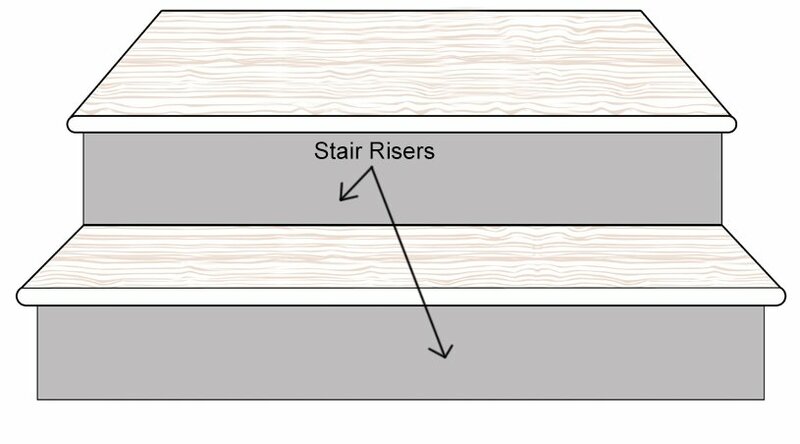 For our classic bamboo stair risers, you can choose between a vertical and horizontal grain. Strand weaving is a process that gives the bamboo greater strength and replicates the graining of traditional hardwood. For both strand-woven and classic bamboo, you can choose between a natural (blonde) or carbonized finish in addition to many other colors. Carbonization is a heating process that gives the bamboo a slightly darker tone some find more attractive. Bamboo stair pieces require no special skills to install. Risers can be glued in place using a non-water-based or latex-based adhesive or put in with nails. Please note, our strand-woven bamboo risers are extremely dense, and if you choose to nail them into place, either pre-drill holes and screw, or use a nail gun capable of shooting a 1" long micro thin nail. Our bamboo stair pieces have been designed to give you years of trouble-free use. Stains and scuffs can usually be wiped away with a damp rag or with an application of any approved cleaner. Clean up spills when they happen and always test new cleaning products on a spare plank of wood or hidden corner before using them. 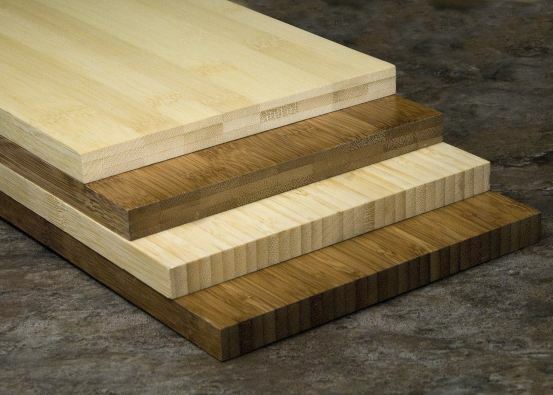 Since 2005, Ambient Bamboo Flooring has been providing homeowners with safe, eco-friendly flooring solutions. When you purchase a bamboo riser or other stair piece from us, you're supporting a company with true green ethics - we source all our bamboo from well-managed stocks and have been certified by the Forest Stewardship Council and the US Green Building Council. Going green has never been this easy - contact us for your free quote today!